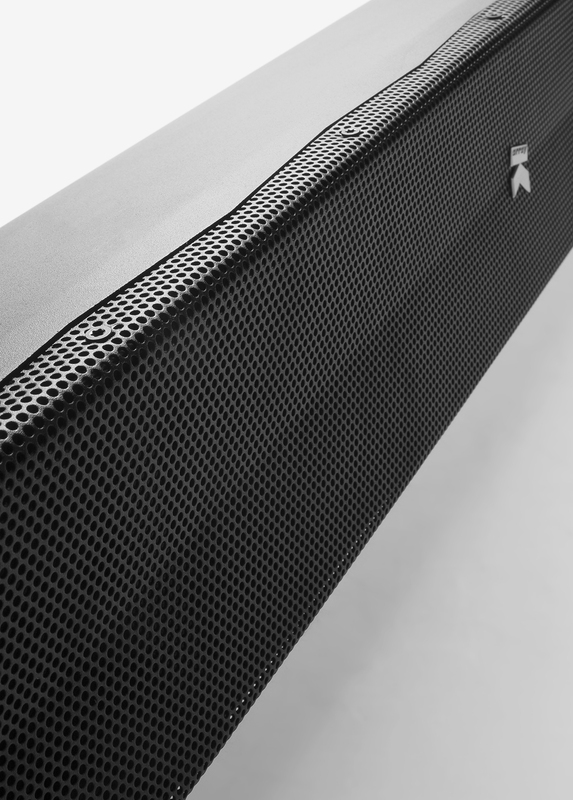 Like the Kobra and the Python lines, the Kayman line is an advanced line array with a sleek design in a stainless steel frame. 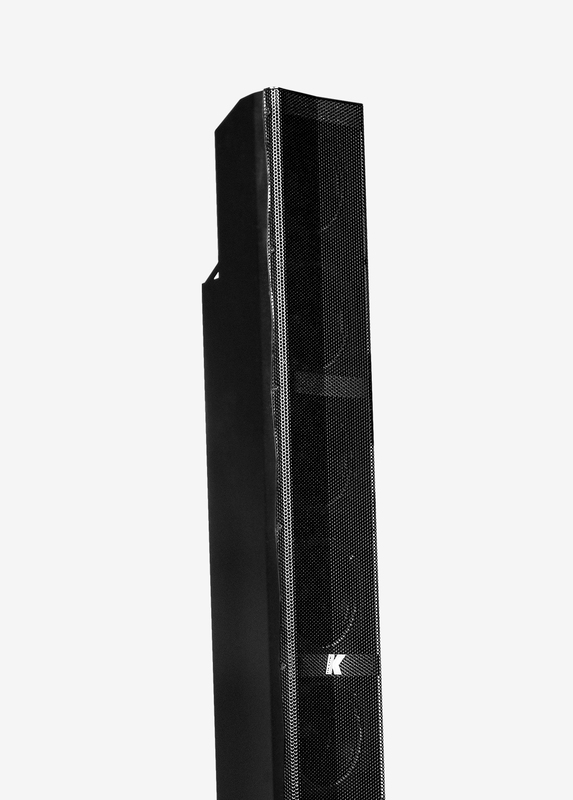 A passive speaker comprised of closely-spaced, full-range sound sources, the Kayman boasts our innovative Pure Array Technology with its 4” neodymium magnet transducers. With no crossover and no reflex, it shows a perfect phase response both in the near and the far fields, rendering the Kayman the ideal solution for venues the require long, even throw. 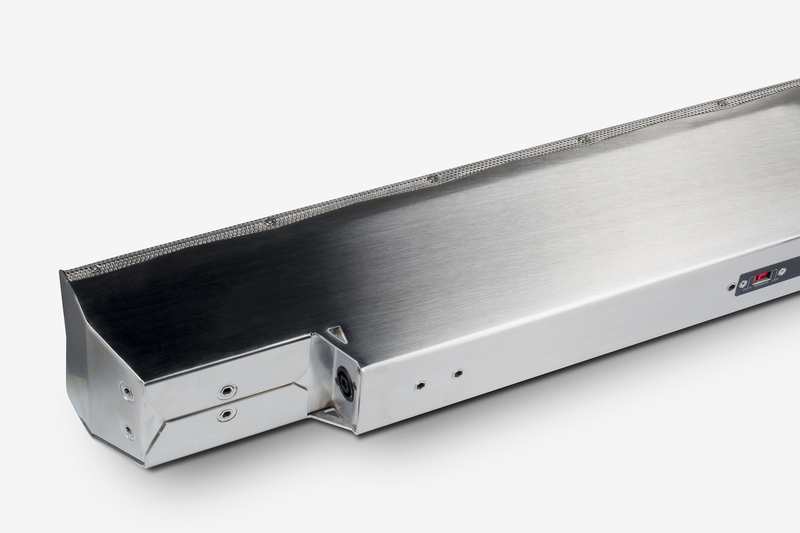 The narrow vertical coverage minimizes ceiling and floor reflection, thus increasing the intelligibility in highly reverberant environments. The Kayman’s vertical dispersion pattern can be switched for wide or narrow coverage, allowing for a great variety of applications such as large theaters and congregations and live concerts. And with the ability to customize the color as well as the finish of the speaker, users are able to match the Kayman with the architecture and design of the venue. Integrating one of K-array's powered Thunder subwoofers with the Kayman assures excellent coverage of the entire musical frequency range. 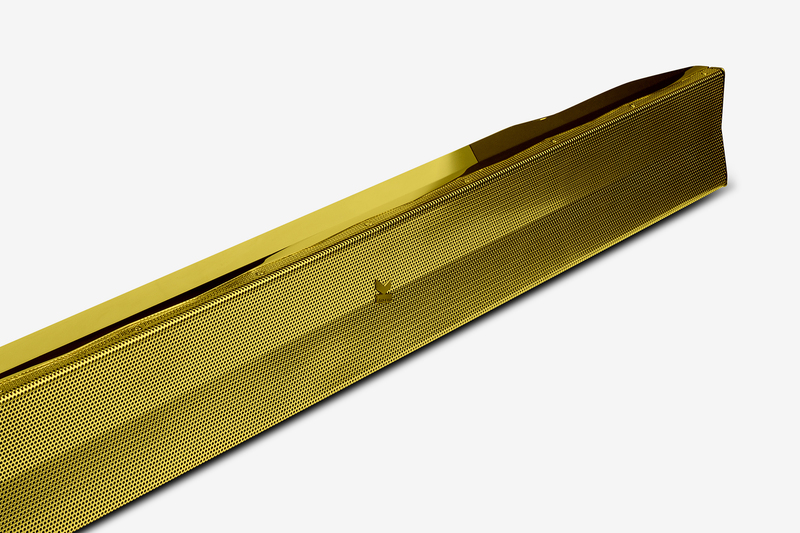 The directivity of many K-array solutions can be modified in order to optimize the coverage. 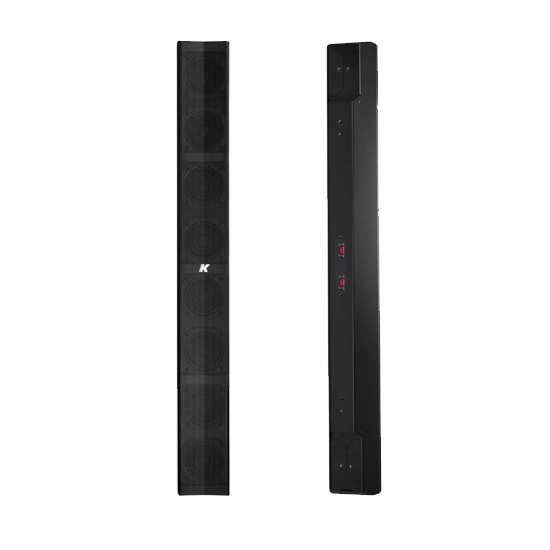 Our column loudspeakers are equipped with a regulator with two coverage options: SPOT for very narrow sound dispersion and FLOOD for wider coverage. 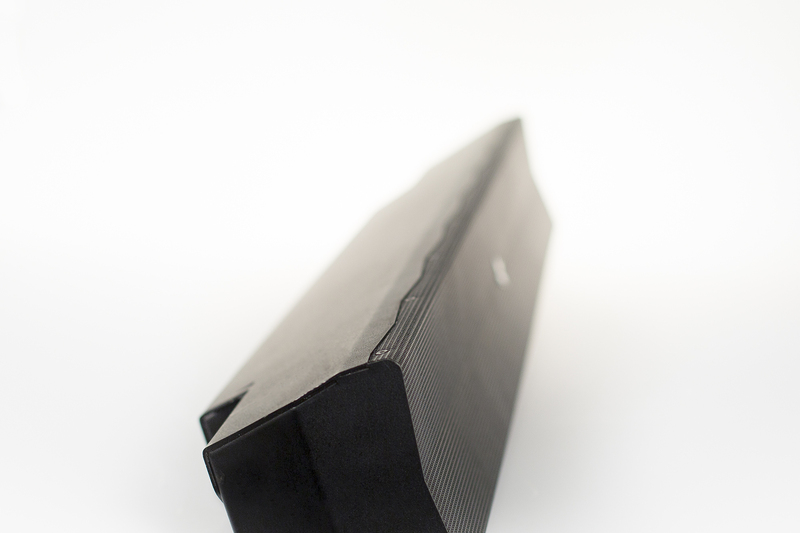 The directivity of many K-array solutions can be modified in order to optimize the coverage. 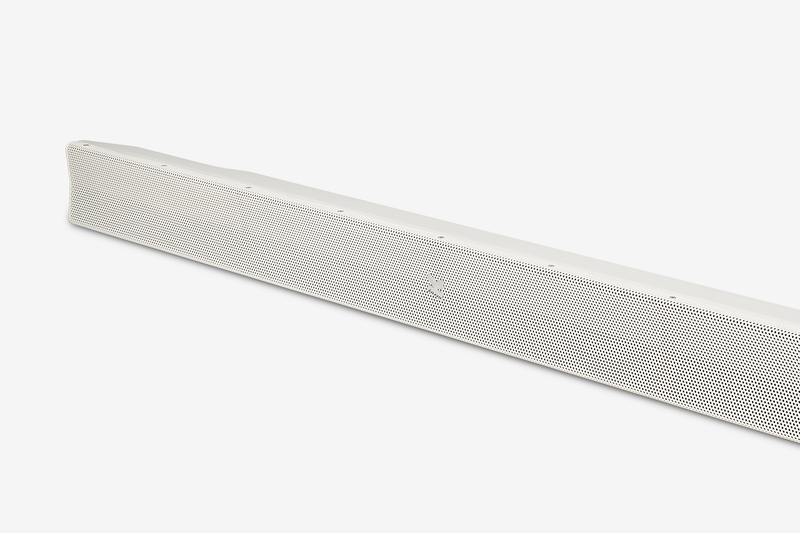 Our column loudspeakers are equipped with a regulator with two coverage options: SPOT for very narrow sound beaming and FLOOD for wider coverage. Kayman line products can be successfully used in a range of different settings and events.